A lawyer, like a dentist, is the last person you want to see in this life. Until you have a toothache. Until you find yourself facing arrest. Then courts and lawyers become necessary parts of media life. At best, the relation between these two institutions is described in this manner: good fences make good neighbours. As long as media and the courts stay within their respective spheres, no conflict arises between them. Unfortunately, this fence that divides these two institutions is often breached, and between the press and the courts, the courts will always have final say about what the law is, what rights have been infringed and what remedies are justified. There are certain basic premises that give rise to this conflicted situation. 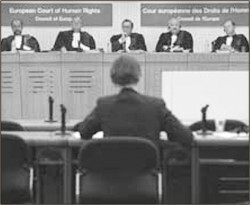 First, the judiciary's power to interpret the legal order necessarily limits and restricts directly or indirectly what the press can do within the bounds of law -- the extent of the access right to news sources, the extent of media's newsgathering rights, the disclosure of information, and the right to publish when other rights are involved. There is no question that "...the press must comply with laws of general application even if their enforcement has incidental effects on its ability to gather and report news...."
Second, the judiciary as arbiter of disputes finds itself protecting non-media parties from media parties. Such a role has not been more pronounced than now, when the press has been getting a "bad press." As in any dispute, the offended party looks to the court for retribution and indemnification, especially against an abusive press or a media that has gone out of ethical control. In cases where private offended parties find no other recourse, the courts become the forum to teach the press a lesson. Third, the courts do not consider media as a special person who is entitled to any preferential treatment. The judicial ideal of impartiality requires that the court view every litigant as equal in all respects, both as to rights and as to their obligations to each other. Before the courts, the press is just another litigant who has the same rights and duties under the law as any other person. The constitutional preference for the press hardly impresses a trial court hearing a private injury claim. As one Philippine Supreme Court Justice said, "It is for the poet and the politician to pen beautiful paeans to the people's rights and liberties, it is for this Court to provide viable legal means to enforce and safeguard these rights and liberties." Finally, the great institutions of the judiciary and the press are driven by a different set of values and principles. Generally, these values are equally valid and compelling; yet, in an adversarial conflict, the courts cannot declare a draw but is driven by its dispute-resolution function to choose which value will be promoted. The greatness of an institution flows from the values and principles that animate its actions and proceedings. It is true with the press; it is true with the courts. The courts in every known jurisdiction have shared the same set of values which happen to be diametrically oppose to the values that make the press a great social institution. An understanding of these distinct values will help the media understand how more productively it can relate to the judiciary. The first of these conflicted values is the value of immediacy that makes news valuable as against the deliberate, calculated and slow requirement of due process. These values are most conflicted where the right of publication and public disclosure is challenged on the ground of national security, a rational fear of horrendous consequence or a privacy claim. Generally, the question that the courts are asked to resolve is whether the press will be allowed to publish considering the contrary claims that on their face justify an immediate restraint on publication. Such an issue is not easily resolved and the judicial process that will weight the conflicting claims of the plaintiff, or the parties who bring the action, and the press who desires to publish, may not be hastened or short-cut to accommodate the publishing dateline. Worse, while the court take their the time to receive evidence and make a ruling demanded by due process, the mere delay in the publication itself lessens the value and effectiveness of the news. In such cases, [T]he result is a loss in the immediacy of speech, and in some cases, an accompanying loss in its value". Even if in the end the injunction is denied or set aside, "... the risk that an injunction against speech, even though ultimately invalidated, will so delay publication as to make speech untimely and hence valueless for the purpose." Second, despite the oft-repeated claim that "experience is the life of the law", the courts exist to defend the status quo. While the press are molded to afflict the comfortable and to change the impossible, the courts recognise their role to be the preservation of the status quo, to carry the present to the future, to maintain the prevailing rules and manner of life, and to defend social and political equipoise against all predisposed to interfere with it. Thirdly, in a conflict of rights, the courts will promote and protect public rights over private rights, or in case of conflict between private rights, the courts will sustain the hierarchy of rights that make some rights more important than others. In the world of rights, the courts have established by practice and repeated judicial holding that not all rights are equal, and the balancing of conflicted rights will always result in a right to be protected and a right to be suppressed. Of course, the press does not always see it that way, such as when the media convinces itself that there is nothing more valuable than free speech and the right to publish. The courts will not always agree. As we have already seen, even the press right will have to concede its primary position to more important rights in the hierarchy, such as to the right to a fair and free trial and the personal right of privacy. 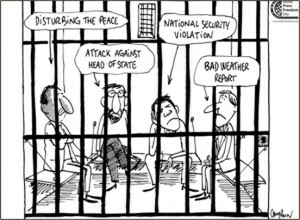 In the relationship of media and the courts, it is not enough to have good fences. The better strategy should be to know the courts and their processes. Having a competent and experienced counsel available for consultation in case of doubt is an invaluable asset in any media organisation. Media professionals who belong to large and well-established media may not find this a problem, although there is always that hesitation to listen to lawyers particularly when legal advice impinges on editorial judgment. Even small media entities should not however be without a lawyer. Despite what they say of lawyers, there are many who would be willing to render service, if not for the incidental publicity essential to a successful law practice then for the idealism to help protect the press and media practitioners. After all, media cases always present constitutional issues which if handled properly can give any lawyer a career-making break. Get in touch with your local bar associations. But first, media must disabuse itself of the thought that consulting with lawyers and other professionals amounts to a loss of independence or even self-respect. I assure you wave the flag of press freedom and some lawyers will charge with passion and abandon. Media practitioners must seriously consider an indemnity arrangement with their publisher and the media owner. When a media person acts according to legal advice or editorial judgment, the publisher must accept the duty to defend the reporter in case of litigation. They must realise that a free press also means a free press practitioner. For those in the judicial and crime beat, legal knowledge no matter how little is always a useful thing. Know practical law and general court procedure. The most common complaint against journalists reporting on judicial matters is the inaccuracy of the report which is primarily spawned by a lack of understanding of what is important in a judicial setting and of the relevant procedure affecting cases. It is not unusual for media to erroneously report that a pending case has been finally decided, when the court has actually disposed only of what is incidental or interlocutory matter. The courts will in turn be more appreciative of correct and accurate reporting of its actions and decisions by an informed media, as this enables the greater public to correctly understand the judicial system and how it works. The changing media landscape demands that the media re-examine its relations with the courts and the judicial system. It is not a relationship made in heaven; but neither is it a relationship that can be ignored or evaded. Win or lose, court cases mean a waste of time and money. Many private plaintiffs file cases against media but do not expect to win; they merely want to deter media or to get even by tying up media in a costly, public and long-drawn out trial. Finally, courts are not the only fora to settle disputes involving media. Part of media's on-going advocacy should be to innovate alternative dispute-mechanisms that will accommodate the distinct needs of media and the public that media serves. Of course, where there is clearly mistake or misjudgment by media, the simplest solution is still best correct the mistake and move on. The write is Professor at the San Beda College of Law, Philippines.